About a month ago, I took a more intentional approach toward teaching my children French in our homeschool. I started gathering resources to teach my children French. Books and language lessons lay the foundation of mastering another language. Immersion and interaction with other speakers of French continue the process and solidify the vocabulary. So I joined L’Alliance Française of Knoxville. 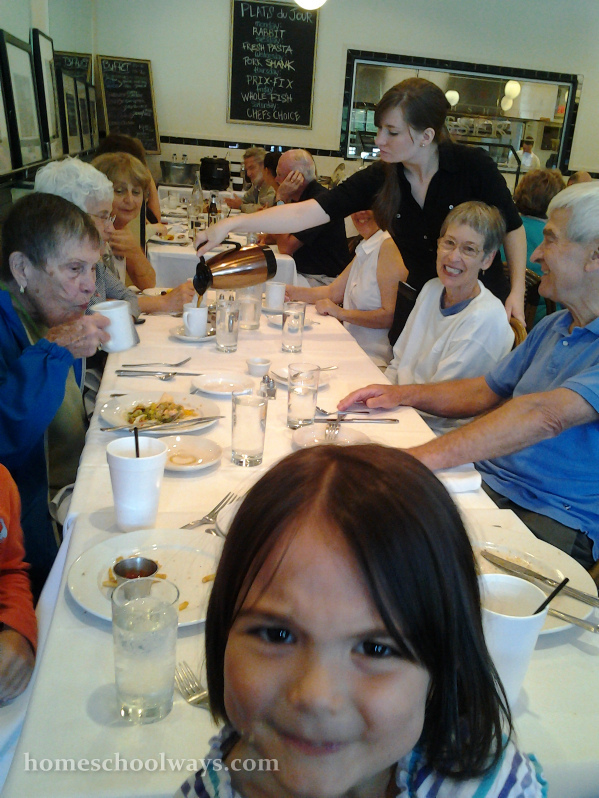 (2) Immersion meal (table française) at the French-Belgian restaurant called “Northshore Brasserie” in West Knoxville. During the first event, we met everybody and played pétanque. Then, we had a picnic. Most of the dialogue was in French, but some of our spouses spoke to each other in English because they do not speak French at all. Pétanque is a game like its Italian cousin, bocce. The difference is that, in bocce, you run before tossing the ball. In pétanque, you don’t. You stand and toss your ball from the launching spot. Even though the weather was cold and my children were not too sure about speaking French to any of our new friends, we had a good time. 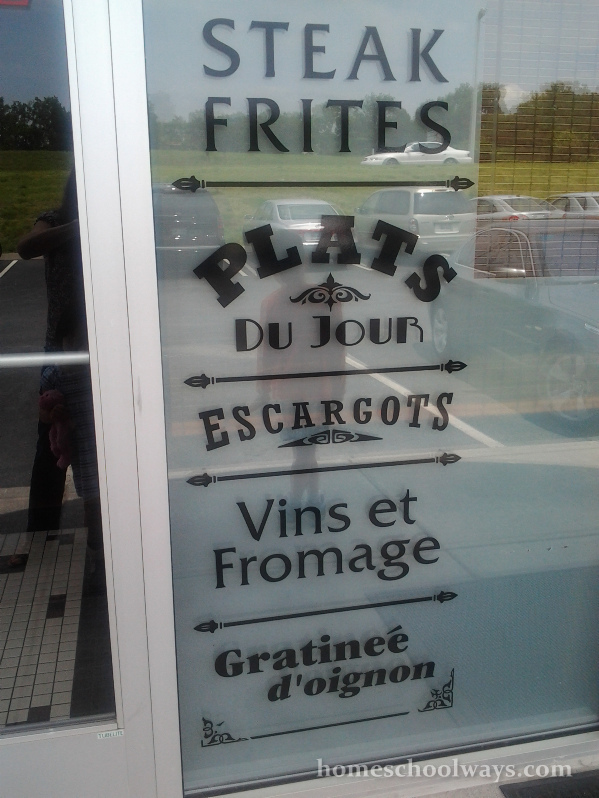 To say that I was inspired by the fellowship in French would be an understatement. I went home and worked on some more resources for our homeschool, like subscribing to different TV5 Monde newsletters and reaching out via email to a French family living in Knoxville, who were recommended by the members of this group. By the second meeting, the immersion table, my children had more courage to interact in French. I am surprised by how quickly they pick up a language, but I should not be. Children under 12 are biologically wired to pick up multiple languages. After one month of teaching them, they understand simple phrases (what is your name? how old are you? come here, look at me, please, thank you etc) and they can count to ten. My son already uses “Eh, voilà!” when he brings me something. When asked how old he was during the immersion table, he answered he was six years old. He constructed his sentence half in English and half in French. Progress. Here’s another observation: their third language, French, is pushing their mother tongue, Romanian, to the forefront. I spoke Romanian with my children since birth, but they answer me in English 99% of the time. I had never heard my son say that phrase before. Ever. I knew he knew what it meant when I said it, but I did not know he could pronounce it so well and use it in an appropriate context. So I am really, really encouraged to see a bit of the fruit of my labors.